Artius Glass are specialists in Isle of Wight studio glass and are considered to be the world’s foremost and most experienced authority on the designs and work of Michael Harris of Isle Of Wight Glass. They tour the country selling their beautiful hand made glass at antiques and glass fairs across the UK. 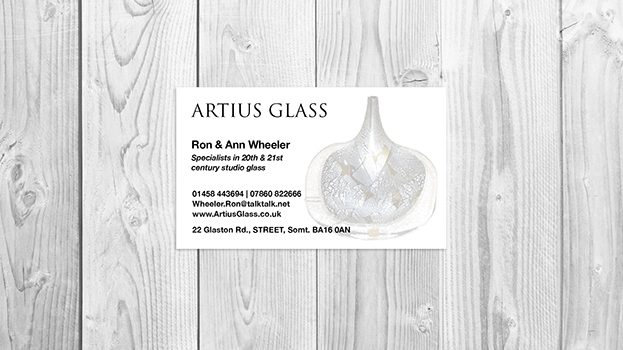 They came to Ilona Design looking for a simple business card design that showcased a classic example of the glass they sell. Using a simple font that reflected their target audience we paired the image and text to create an informative yet simple business card design.